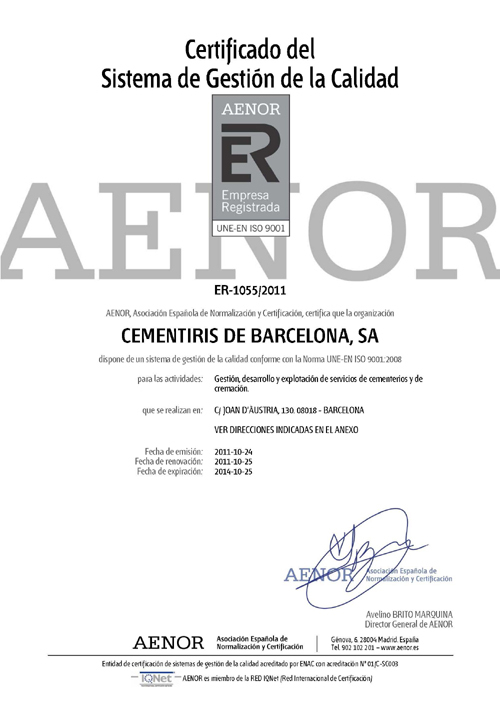 The activity of Cementiris de Barcelona (CB) is to manage the cemeteries of the city and to bury or to cremate the deceased of all those families that have already chosen Barcelona because they are the owners of a grave or for any other reason. CB has implemented an integrated System of Management with the objective of insuring and systematizing the supply of our services and products, as well as the development and maintenance of the same ones, with application to all the processes of the company. 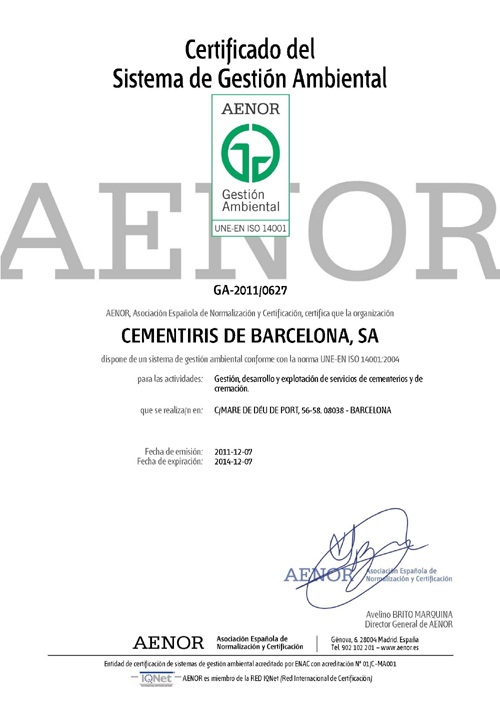 We absolutely believe the quality and the preservation of the environment it is born of our efforts, and it is the best guarantee, from the star of its activity, to obtain the products and services in accordance with the requirements of our customers and the guarantee that we are performing with responsibility towards the environment. 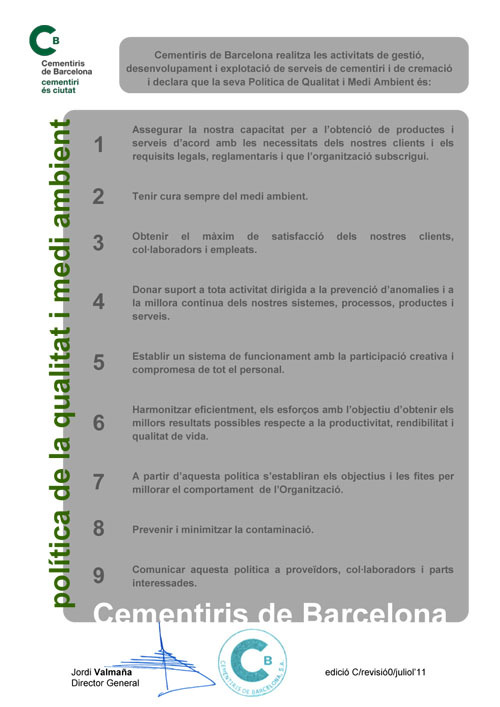 We highlight the absolute confidence in our human team for the effort of achieving a deep knowledge of the needs of the customers, communication based on a squeeze, that allows us to obtain together the maximum benefit, to guarantee the faithfulness of our clients and to start a permanent process of progress and adaptation to the changes that requires the society. CB firmly believes the satisfaction of its costumers, employees, suppliers, collaborators and all the socitey is essential for the success of the company project, with observance to the law, the work prevention and a deep respect for the environment and its active participation in the society.